Robinson’s Garage provide full servicing and general repair facilities for all makes and models of vehicles. Call us to discuss your requirements and discover what we can offer you. 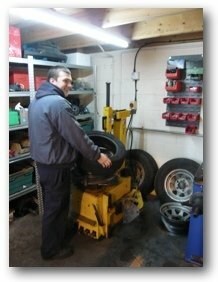 Whether you need a new tyre, a full service, engine repairs or welding, we can help. Our service is friendly and reliable. Our prices are very competitive. .. in fact, there’s not much we can’t do! It is often thought that to maintain a manufacturer’s warranty on a newer vehicle that it must be serviced by a main dealer which means paying main dealer prices. This used to be true, but has not been the case for several years now. As long as the vehicle is serviced in accordance with manufacturer’s schedule, using genuine parts, you can get it serviced by an independent garage and still maintain a valid warranty. 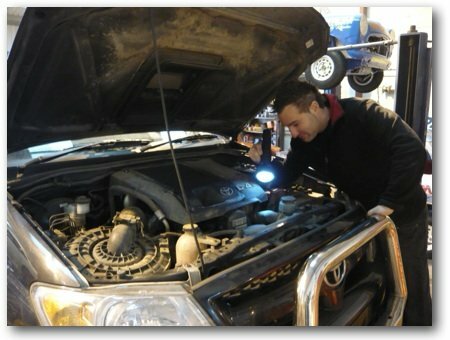 The only other condition is that the independent garage performing the service must be VAT registered too. This means you don’t have to go to a main dealer for servicing and typically pay higher prices than you would with ourselves for example. Robinson’s Garage is VAT registered, and we use the recommended genuine parts, so your manufacturer’s warranty will remain valid if you would like us to service your new vehicle. We go through the whole car thoroughly. Everything that should be checked gets checked. Everything that should be replaced gets replaced. No corners get cut - we don't take shortcuts. Our prices are competitive too! If your car is due for a service, and whether it’s a new car or several years old, please call us on 01509 814884 to see what we can offer and how it compares!